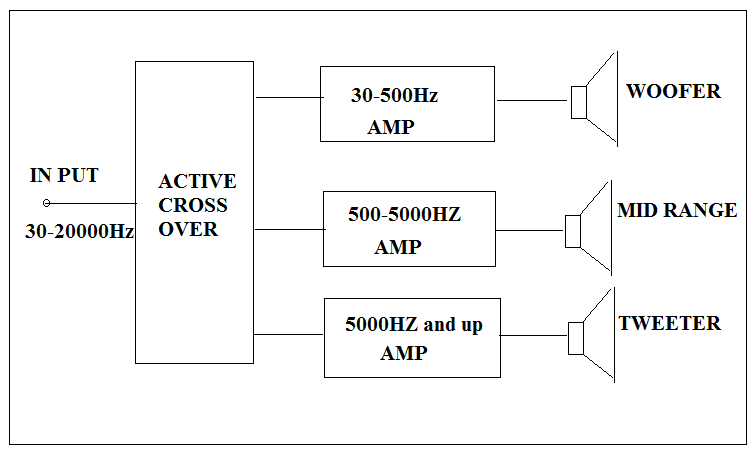 As one speaker unit can’t deliver full range music (50Hz to 20000Hz) and then had to be divided into three ways as the woofer, midrange and tweeter. 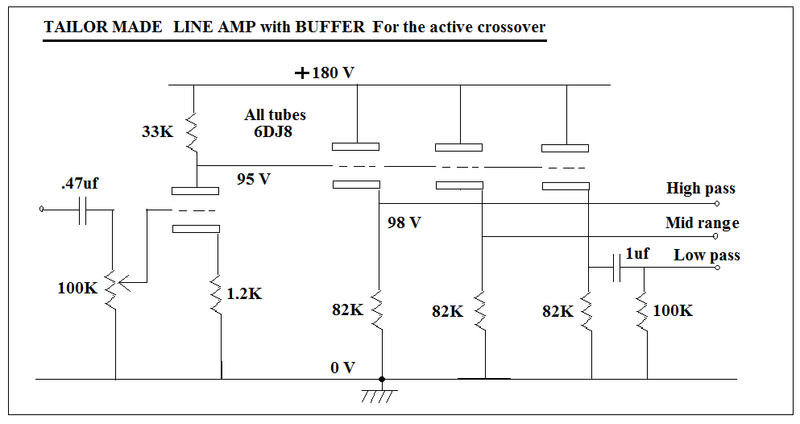 So that passive crossover RCL network inserted between amp output and speaker units, this reduces transparency and punch. 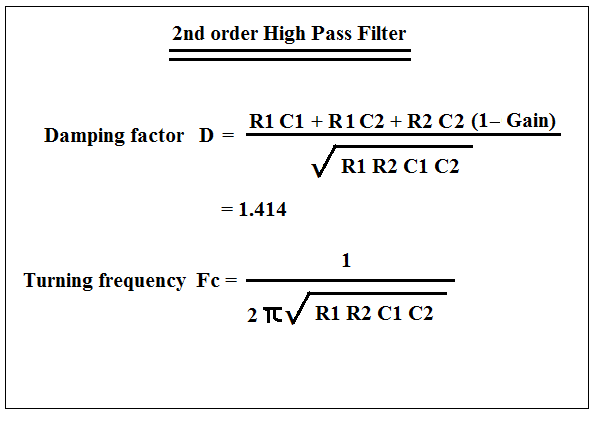 The 4th order filter slope is more close to ideal than 1st order, n-th order even better but technical difficulty resists. 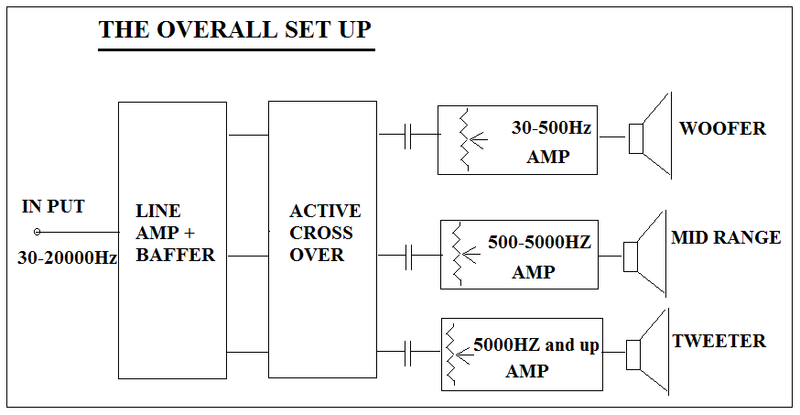 My active crossover (active filter) uses 4th order. 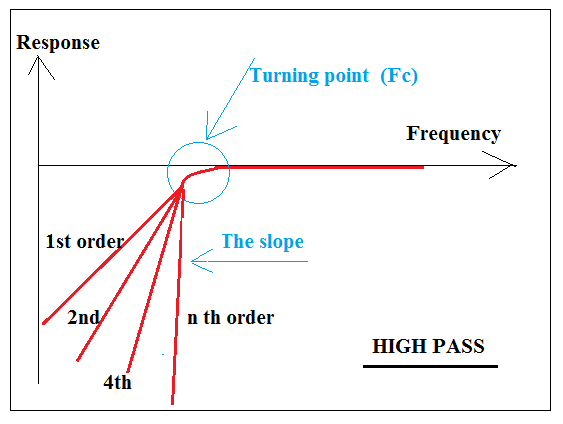 This is achieved by two 2nd order filter connected in series. 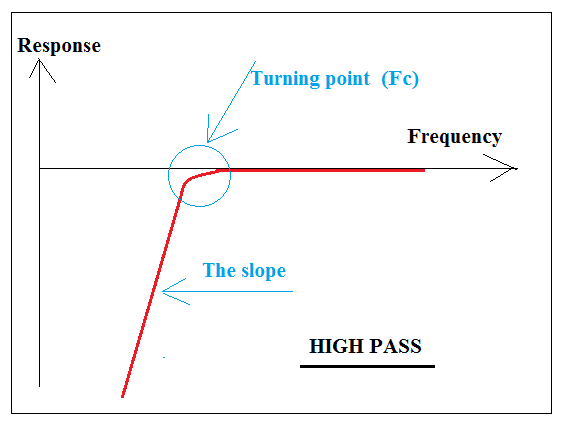 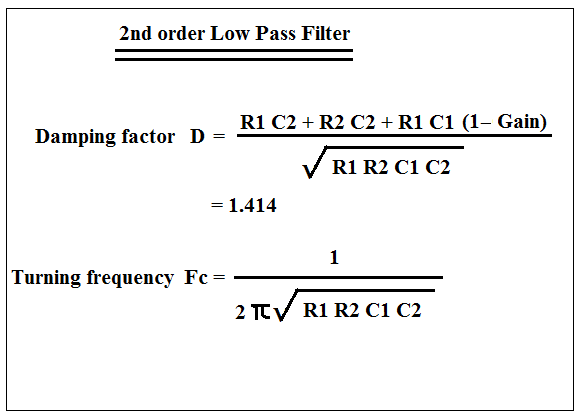 The damping factor of the filter less than 0.5 will cause high-frequency ringing, more than 1.72 will go too far away from the ideal slope. 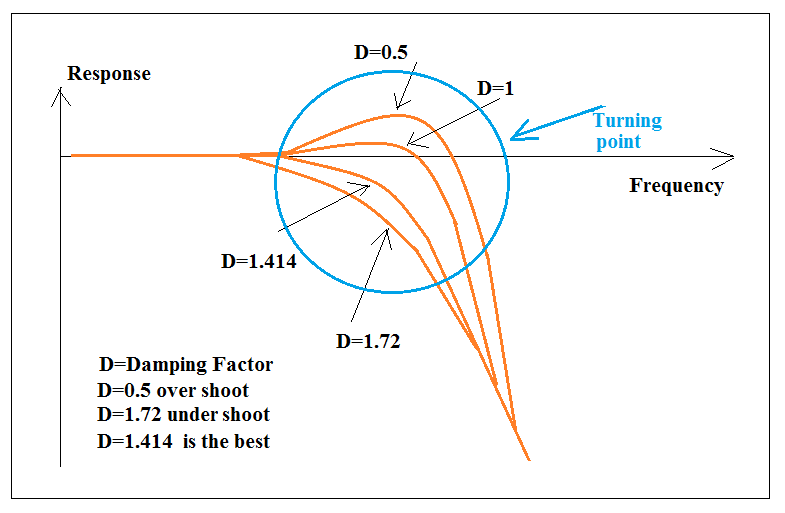 D=1.414 is the norm. 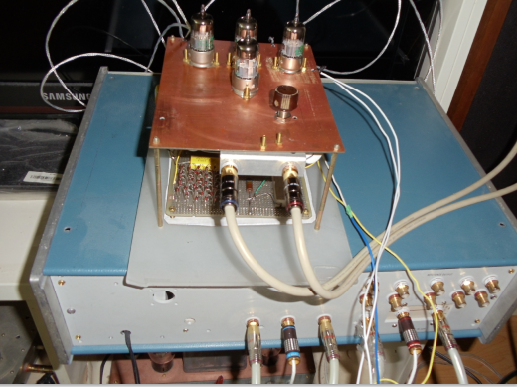 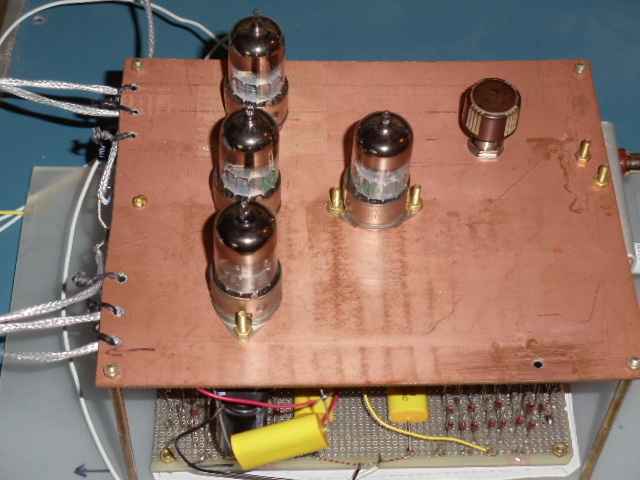 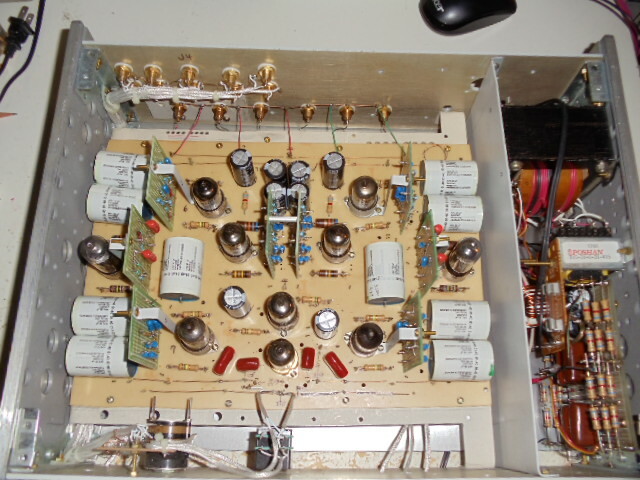 To build a 2nd order active filter with operating amplifiers is simple and lots of information in web pages. 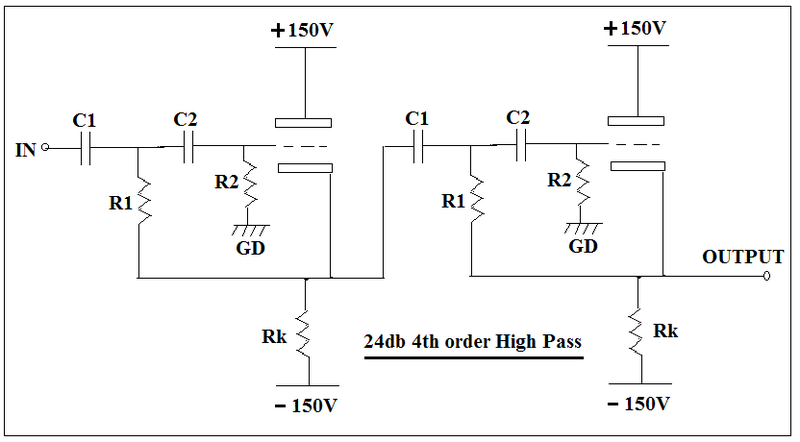 This is because the output impedance of modern operating amplifiers is low enough to be ignored without affecting the design calculation. 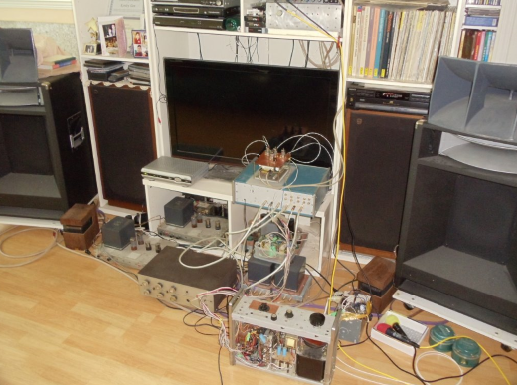 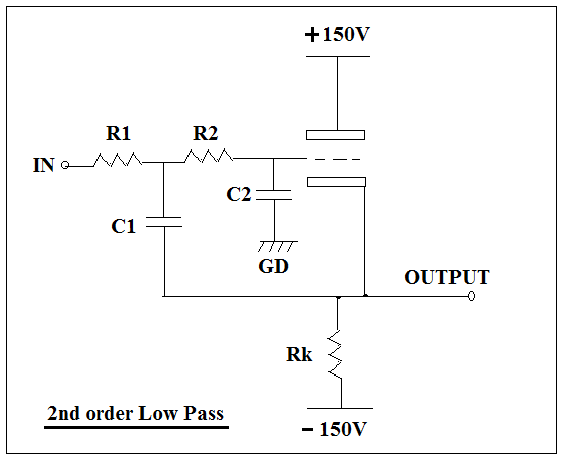 Besides, the OP AMPs can easily achieve a unit gain (gain=1), so that the design process becomes an easy job. 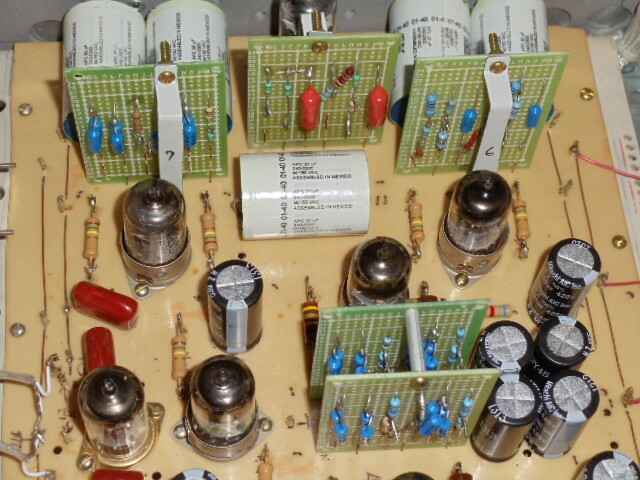 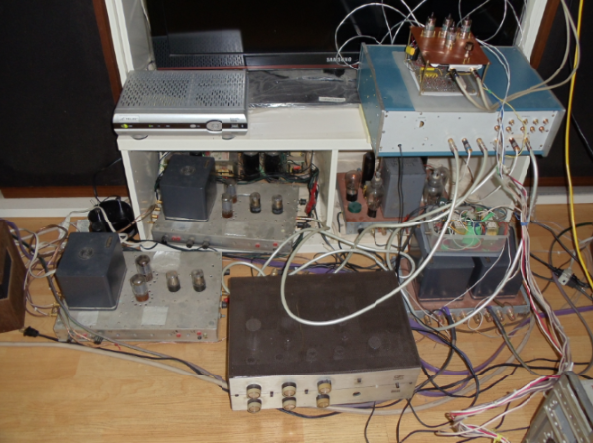 But if we use a vacuum tube to build the machine the story will be very different, the sound will be different as well. 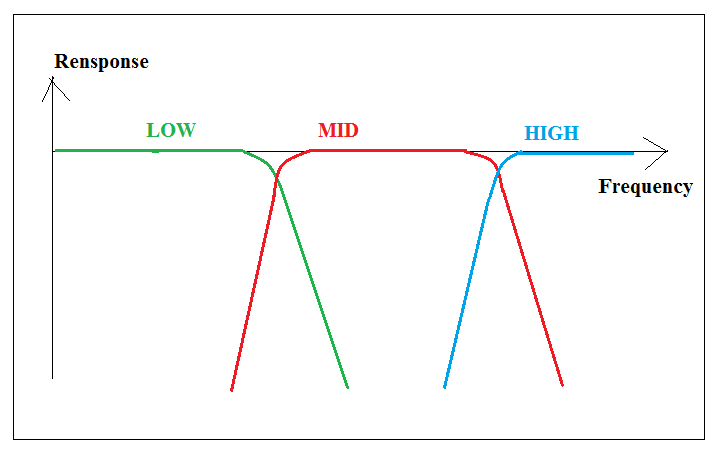 The output impedance even cathode follower will be large as few hundred ohms, the gain varies between 0.94 to 0.98, all of this has to be considered in design calculation. 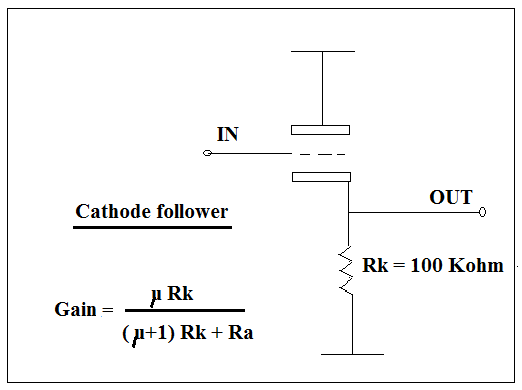 If we change the Rk to 50 Kohm, the gains remain almost unchanged, so that the output loading impedance changing will not affect the gain and we consider the gain is constant. 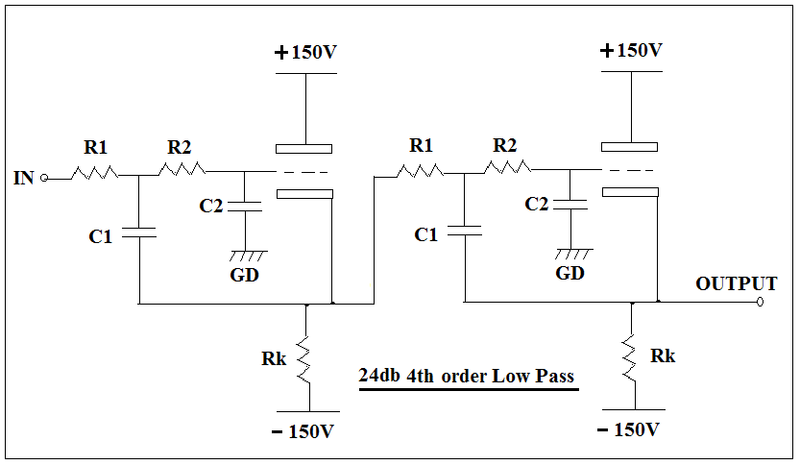 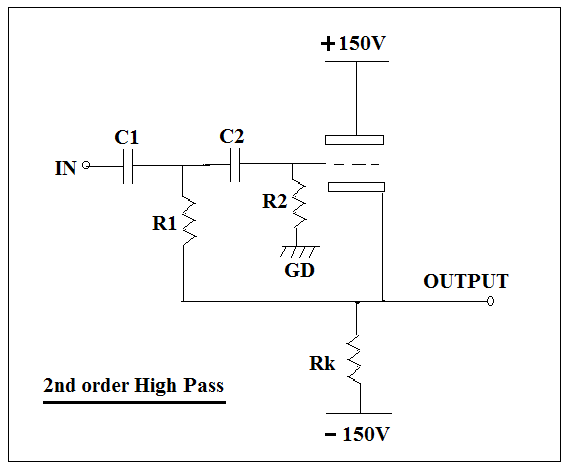 We start from a 2nd order 12db low pass filter, the circuit is simple, Rk present as 100Kohm and even changing value will not affect the operation. 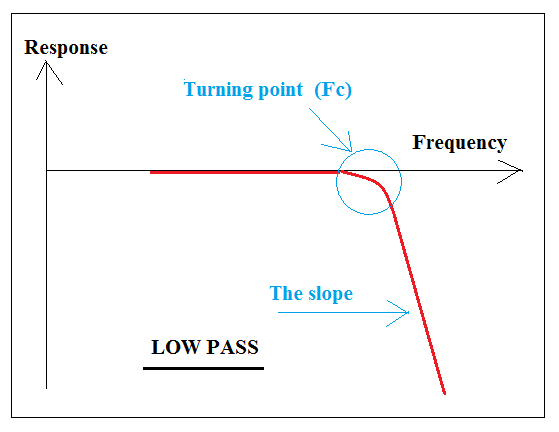 But the calculation of R1, R2, C1 and C2 is a bit tricky, the turning point frequency, damping factor and voltage gain have to be considered. 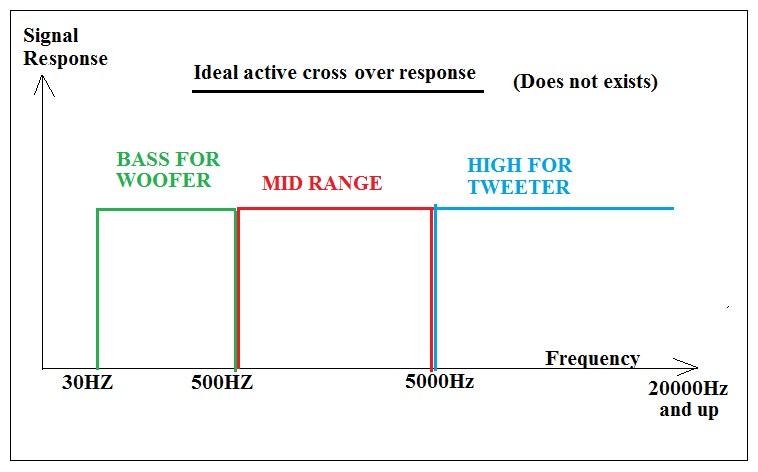 Put these values to the low pass formula will prove D=1.414 and Fc= 5300Hz.